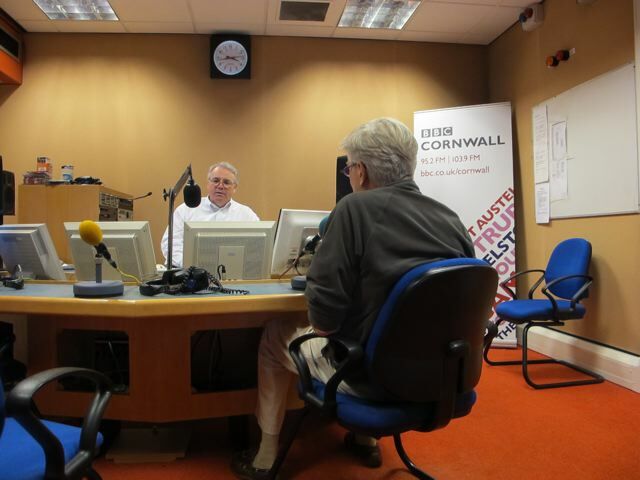 On the spot on BBC Radio Cornwall! 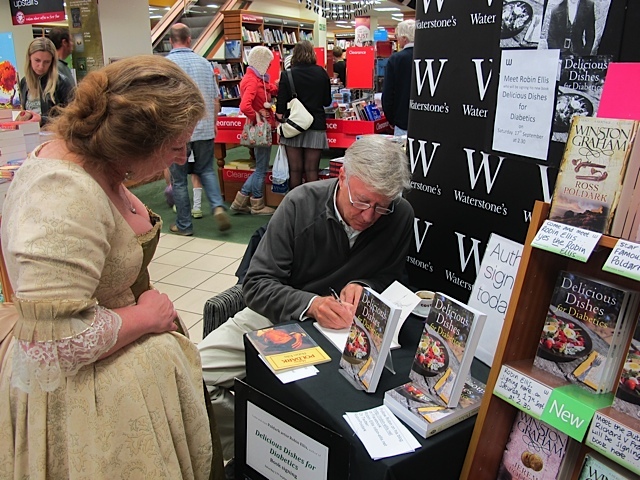 I was back in Cornwall last weekend for the first book signing session at Waterstone’s in Truro. The county is in fine form and this cathedral town was buzzing on Saturday morning. Bev–who with her husband had driven all the way from Nottingham–made me feel a little underdressed! Here’s my interview with the excellent and sympathetic Martin Bailie at BBC Radio Cornwall last Friday–me trying to avoid the “errs” and “ums”!. "On the spot" at BBC Radio Cornwall! PS–according to an email received today from the US publisher (Skyhorse)–the book is now available in the States…! on September 23, 2011 at 3:01 pm | Reply Dianne P.
Interview sounded great, Robin–nary a “er” or “um” to be noticed! The link you gave to it also has someone’s video posting nearby of your house & backyard–what a beautiful spot! Now I have to go find the US link for your book. Any hope of you folks visiting the states? Very excited to hear that your book is now finally available in the United States. I have it pre-ordered on Amazon and hope they will be filling the order soon! Have followed your book signing messages and truly hope that Meredith and you will be able to make a trip to the United States for a book signing here. I am from Minnesota and would travel anywhere to meet you and get an autograph. I think you have a lot of fans that feel the same way as I do. We are planning now a trip in November–we’ll keep you up to date. The publisher now tells us the book will be available early October–so we jumped the gun a little! Hi Robin! I have listened to your interview on Radio Cornwall, really interesting, and having been recently diagnosed with Type 2 Diabetes, found it most helpful! I purchased your book some weeks ago, its fantastic, and have passed it onto my daughter who is Type 1! Thank you Robin, and of course, I still enjoy Poldark, remember it the first time around, watched it in black and white, those were the days! Thank you Adrianna–I’m really pleased you are finding the book and the interview helpful. My mother was type 1 which is why I took the diagnosis seriously from the start. The book is how I (we) eat here so not specifically for type I diabetics–but I hope your daughter finds it helpful too.